Carol has quietly become one of my favourite characters in The Walking Dead. Starting as a put-upon housewife, she’s one of the few characters who’s grown stronger and steadier over the course of the series in spite of having lost her husband and daughter (plus zombies being everywhere). This is in sharp contrast to her comic book counterpart who gradually goes nuts and kills herself, leaving her daughter behind (and yes, in the comics, Sophia is still alive and well and doing nothing of consequence). She even temporarily hooked up with Tyreese. Somehow, I don’t think that’s going to happen on the show. “Isolation” deals with the aftermath of the virus’s discovery as it quickly engulfs the prison and even lays claim to an important character: Glenn. Having discovered the remains of Karen and David last episode, Tyreese goes nuts on Rick and Daryl, swearing that Rick needs to find who killed them. A plan is hatched by the council to raid a veterinary clinic 50 miles away for its antibiotics to treat the growing quarantine population. And that’s the setup. That’s an innocuous enough statement, but you don’t know how much I appreciated hearing it. You don’t know how much I really started to hate Heroes and every time they would call them abilities or gifts in an attempt to stay just this side of realistic. Just call them what they are! They’re f*cking powers! I know this show isn’t Heroes. And I know that, even at this early stage, it’s probably never going to get that bad (even if by this point in its first season I was a Heroes devotee whereas I’m mildly disappointed in Agents). But one thing Heroes and Agents of S.H.I.E.L.D. have in common is that they both have Jeph Loeb in the production chair. Comicbook fans may hold much of Loeb’s writing work in high regard (see: Superman: For All Seasons and Batman: The Long Halloween), but TV watchers in the know mostly remember him for helping to ruin Lost before totally ruining Heroes before becoming Marvel’s Executive Vice President, Head of Television. I don’t know why his name in the credits stood out to me more in this episode than any other, but I will say this about Loeb: he’s an amazing writer (his DC work from the early 2000s)… but not usually (everything he’s done for Marvel since 2006). I’ve been disappointed by this show before. You know this. I’m easily disappointed. Tonight, though, the episode started out with references to Indiana Jones and the Last Crusade, and it only got better from there. So I would say I was pleasantly surprised. And now I’m going to explain why, because this is a review and that’s what people do in reviews. So that’s why Rick let all those Woodbury people join his group: so more people can die. Clearly this disease is going to take some level of centrality in the story going forward, and in some ways it’s surprising that the topic hasn’t really come up yet. I guess the timeline isn’t really clear (unless we’re using what seems to be Carl’s apparent age as an indicator, because he does look a lot older than at the beginning of the series), and we did acknowledge disease with the CDC season one closing arc, but at some point, if “we’re all infected”, some people are just going to drop dead and come back as walkers without ever having been bit. And now we’ve got a whole town’s worth of people to use as disease fodder. All Doctor Who images courtesy of the BBC. The last full-length review I wrote had a pretty awesome intro, in my opinion, so I’m not going to try to replicate that. You can click the link in the last sentence if you’d like to read it. So let’s just jump in, because this is already promising to be a bit of a lengthier review. 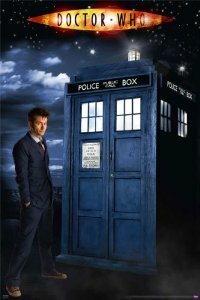 A long time ago, or possibly in the future, a Time Lord stole a box called a TARDIS and went on grand adventures through time and space (though he kept coming back to modern-day England, which prompts the question why don’t I live there). But travelling alone has a way of making him a little crazy, and ruthless, and incredibly lonely, so he picks up people off the streets of London (or Cardiff; the Doctor seems to like Cardiff) and brings them along as companions on his adventures. And every so often he dies, at which time he regenerates and gets a new face and a new personality, which is just incredibly distressing if you’ve gotten attached to the old face. 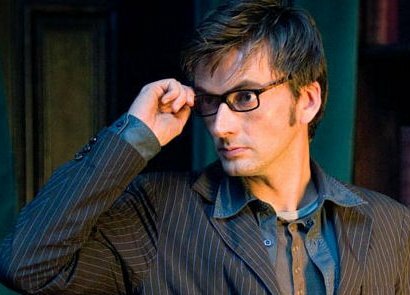 Like I did with David Tennant. Literally just about every time I’ve been reduced to a sobbing mess has been because of the Tenth Doctor. Just… you’ll see. That’s the essential problem that our heroes should be facing every week. They live in a world where the rules have not only changed, but many of them don’t exist anymore. Super science, sci-fi tech, gods, and powers are all now potentially par for the course. That makes it really hard to pin down exactly what’s going on, and it’ll make it even harder to shore up a set of working theories on whatever the case of the week is. But what happens when all the rules are breaking around our heroes? What happens when they run across their first truly unstoppable superhuman force? Not a lot happened this week. The episode felt like half its usual length, although, as any man struggling with self-esteem will tell you, it’s not the length that matters—it’s what you do with it. That being said, this week’s episode, the much-anticipated poker game, was a little lacking in the “doing something with it” department.